Bug-Masters LLC, has been serving the Tidewater and Peninsula areas since 1990, dealing with all types of pest control situations. We are extremely reliable and do offer emergency services. Bug-Masters takes pride in assuring that our clients’ needs are taken care of. We provide all of our customers with reasonable pricing, quality workmanship, and professional service. At Bug-Masters LLC, we set out to educate our clients about their situation and all possible solutions so they can chose the option that best suits their individual needs. The level and speed of service is outstanding! John always takes care of us! He is professional, but also very personable. He cares about his customers. Our kids have grown to know him since we began doing business with him (almost a year now) and he is known to them as the bug guy. I came across his business, desperate to resolve our bug (ant/roach) problem and I am so grateful we did. After the initial treatment, we were left with seeing a couple bugs here and there. I called him up to let him know and he retreated the next day, no questions asked. We will continue doing business with Bug Masters for the long haul. Great service! Happy we went with them! Very informative and did a great job! We will be using them again when we buy our next home! 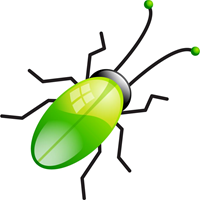 If you really mean business about getting rid of those nasty bugs, call Bug Masters! I have trusted this company for the past 3 years and they have proven to me to be the best company to keep when you truly want to be bug-free! There when they say they'll be there. Very dependable and fairly priced. Recommend. I had an emergency situation with a rental property I have in Virginia Beach. Bug Masters was the only company that answered the phone on a Sunday. They were super professional, attentive and got the job done! I highly recommend Bug Masters to anyone that is looking for a professional, honest, and attentive exterminator! Great promo service. Very Professional. Jon with Bug Master’s is an absolute pleasure to work with! He is helpful , knowledgeable, and companionate . He reassured me that before I put my house on the market that he would take care of the rodent. And sure enough , it was gone. He also came out to spray in the Spring and I haven’t seen an ant yet!! Jon, your the best!!! Thanks So Much!!! Willing to go above and beyond. Jon is very personable. He does a through job and cares about his customers. He does need help as he works so hard he does not allow much free time for himself. Jon was very professional and courteous. I would recommend this company to anyone. Excellent care and service. Would highly recommend to friends. Jon came to by when i was in a crisis mode (lol) and was able to work with me within my budget and he explained everything thoroughly. He was able to take care of my bug pblm and give me suggestions of what to do. Marco's Pizza / Independence Blvd. Please keep up the great work. Huge improvements since beginning service June 2017. Showed up on time did a great job very happy with results. Thank you for bending over backwards in helping us get our house ready to sell. The level of service I received from Bug Masters was second to none! They took time to understand my situation and provide only what I needed. Punctuality is this companies biggest attribute, only followed by their ability to produce results, had them treat a flea issue. The owner was very personable and respectful, wasn’t out to take my money like most of these crooked pest companies. Very professional team that was able to address all my concerns. I would not hesitate to recommend this company to anyone. I am looking forward to continued service. Thanks Jon! Awesome customer service and quick response if anything comes up. Excellent company! Great service by Jon and his staff. Extremely knowledgeable, professional and super friendly. Highly recommend this company!! WMH-We had a Termite inspection this month, Jon was on time for the appointment, was very professional. I would definitely refer this company. Jon not only does a tremendous job professionally, he does so while providing customer service that goes so far above & beyond I can truly say it’s unmatchable. No matter how extensive the problem may be, he will leave no stone unturned until he’s able to find the solution. He’s very communicative, responsive, and flexible. He also helped us outsmart what quite possibly was the most intelligent & aggravating rat of all time thanks to his creativity and relentless work ethic, which stemmed directly from his extensive experience and passion for his profession. By the time it was all said and done, Jon was more than simply an exterminator-he became a true friend. I could not recommend his service more highly! Jon is consistently responsive and responsible for his work. Thanks for being there for us! Great pride and it shows. Great service! I have had no problems with pests since hiring Bug-Masters. Very professional service as well. Great service and reliable, highly recommend them. Very attentive with great service! Personal and attentive. Will stop by for extra treatments in case of persistent pests.